A sprawling market, a spacious school, a magnificent palace: there is a mini-universe under construction, a community being built, a microcosm coming to life. There is space for everyone; everyone is accounted for, everybody co-exists. However, this is merely a scene from one of the sessions conducted by our social initiative, Flyunder. In reality, we are under a flyover, at the Indraprastha Metro Station, surrounded by cars whizzing past, the blaring sound horns of buses and trucks, dust and commotion everywhere; a very different kind of housing.There are no rooms, no walls; the residents live, eat, sleep, play in the same space. In our home, Faridabad, unauthorised colonies are a common sight. We grew up surrounded by constant reminders of the gigantic disparity within the haves and have-nots within our country. But we never adjusted to them. It was disturbing to be aware of our privilege and simply accept this reality as it is. We wanted to intervene, to do something for the communities displaced to the peripheries of the city in the name of urban development. We also wanted our initiative to have a tangible, practical impact, hence we narrowed our focus to working with, and for, their children (of rickshaw pullers, sweet sellers, beggars and hawkers), whose world is limited to the dimensions of the flyover, ironically a beacon of progress in the city. From our initial interactions with the people living there, it became clear to us that they had come to come to accept their fate and do not expect more. This, we believe, is the real tragedy. So, in 2018, we decided to team up and build on our mutual interests in development and urbanisation. In a targeted effort to do something for these children we conceptualized FlyUnder – a socially-driven educational campaign whose bedrock is the vast potential of human imagination. We wanted to invigorate these young minds, give them a platform to flourish by offering a novel learning experience. To do this, we introduced the principles of Lego Serious Play, aiming to foster both abstract and practical thinking, through tactile and tangible methodology. In our first session, we asked the children what kind of structures they were interested in building. After getting past their hesitation through an icebreaker activity, the responses began trickling in – before we knew it, the worksheets were filled. The children were divided into groups, based on their preferences. In the next two sessions we guided them in actually building small-scale structures. Soon we had them methodically constructing different structures, brick by brick. The spaces expanded, the ideas became more concrete: a small scale city started coming to life. Overall, it’s been a tremendous learning experience, helping expand our knowledge on urban landscape, architecture, engineering, and the true (and often hidden) meaning of development. We’ve conducted eight workshops with Pehchaan, our NGO partner, and this is only the beginning. 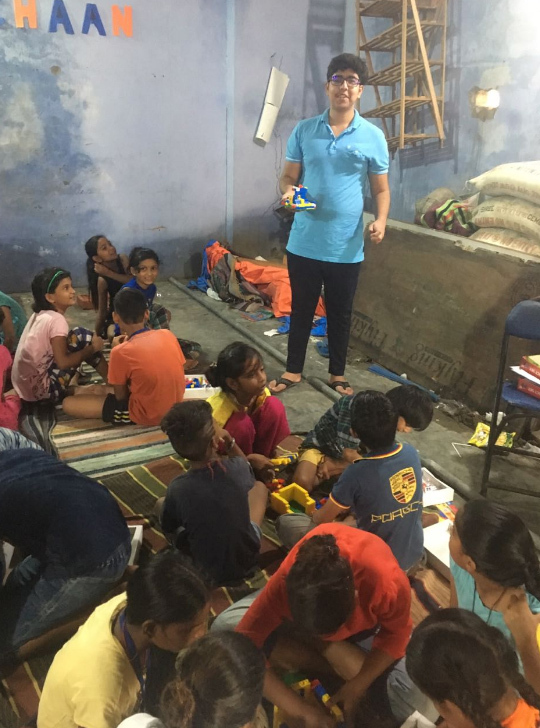 We’ll be fundraising around Diwali for more Lego kits, and are in talks to roll out our programs at several other NGOs in the Delhi NCR region. We’ll be holding a Lego-building competition, and then hopefully training our young students so that they can become FlyUnder ambassadors as well. Together, we have a new world to build. Shubham is deeply interested in studying Economics, and looks forward to studying Developmental Economics in University. He is currently working on a research project, investigating the impact of Foreign Direct Investment (FDI) on urban development. Additionally, he enjoys Mathematics, Statistics, and Accountancy. Shubham is a state level swimmer and tennis player. He is the member of the school’s Astronomy and Interact Club and is the Joint Secretary of the Student Council at Delhi Public School, Faridabad. Utsav is an extremely keen and motivated student and is interested in physics, math, chemistry and economics. What really inspires and motivates him is the intersection of these three disciplines and the subsequent application of these subjects in the daily lives of people. Eventually, at university, he wants pursue a degree in Civil Engineering. He is a state level swimmer and tennis player. 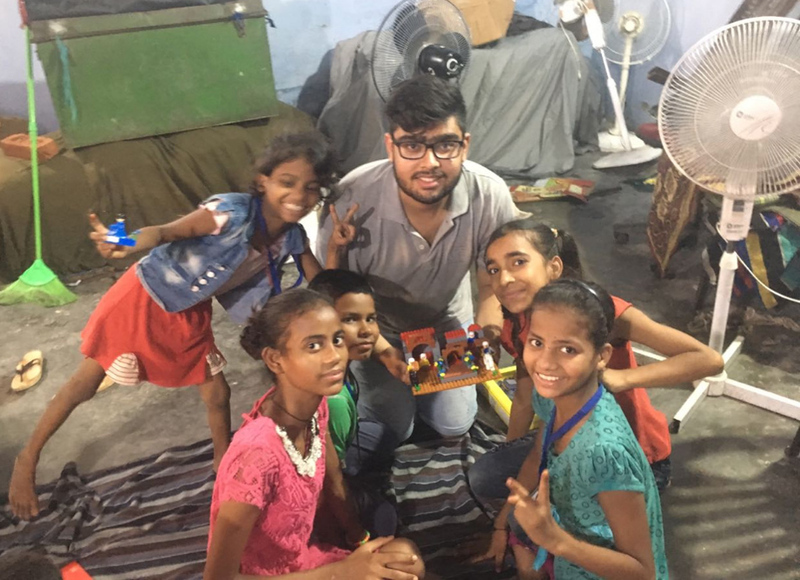 Utsav is also a member of the Astronomy, Robotics and Interact Club and is the Vice President of the Student Council at Delhi Public School, Faridabad.